Missouri has the highest black homicide rate in the United States, according to a report by the Violence Policy Center. The homicide rate in Missouri from 1999- 2016 continues to rank higher than in surrounding states. Federal data from the FBI Supplementary Homicide Report were used to rank the homicide rates for each state. Missouri has ranked number one in black homicide rates seven times since the release of the Violence Policy Center’s first report in 2007. “Poverty, joblessness, racial isolation—all of those factors contribute to the conditions leading to high homicide rates and other forms of serious crime,” said Richard Rosenfeld, the Founders Professor of Criminology and Criminal Justice at the University of Missouri-St. Louis. The high rate of homicides among blacks is often attributed to larger black populations in the cities of St. Louis and Kansas City, Rosenfeld said. But overall the report found that the black homicide rate in Missouri is 10 times higher than the homicide rate in the entire U.S. population of 4.62 per 100,000. “We have to create more opportunities, both educationally and employment-related opportunities for folks in underserved populations who are living in these communities that are more susceptible to violence,” St. Louis NAACP President Adolphus Pruitt said. Pruitt said the NAACP supports several programs to reduce the rate of black homicides, including encouraging more African-Americans to join police departments. He said the program is administered by the Ethical Society of Police which advocates for officers of color. Rosenfeld said law enforcement officials have several programs in place aimed at reducing the number of homicides. Those include targeted patrol strategies, such as putting more police patrols in crime hotspots. Rosenfeld said those attempts do have an effect. For homicides where weapons were identified, the report found that 93 percent of black homicides in Missouri occurred from gun violence. The FBI data used does include justifiable homicides of blacks who were killed by law enforcement. Nearly 160 people have been killed in St. Louis this year, putting the city on pace for almost 200 homicides for the third year in a row. Deniya Irving, 7, was almost among them. She was shot in the head in June, an incident that left her parents and another man dead. She was not expected to survive, but can now walk with a cane and speak a few words at a time. 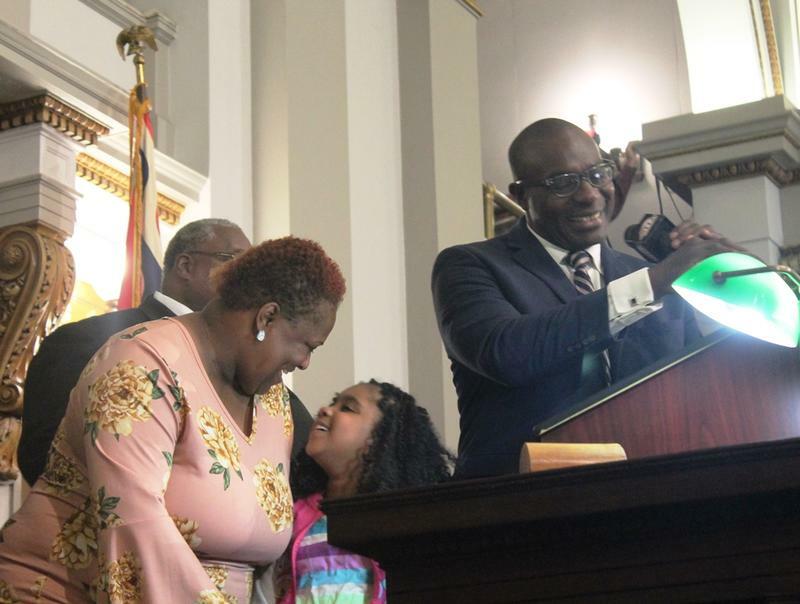 The St. Louis Board of Aldermen on Friday adopted a resolution in her honor, promising to work “within our communities to reduce the senseless, violent crimes” like the ones that left Deniya and her sisters without their parents. Today, St. Louis Public Radio released its series on homicide in the city of St. Louis after months of preparation. The series takes a look at homicide from the point-of-view of a victim’s family and friends, investigators, first responders and the residents of a neighborhood. 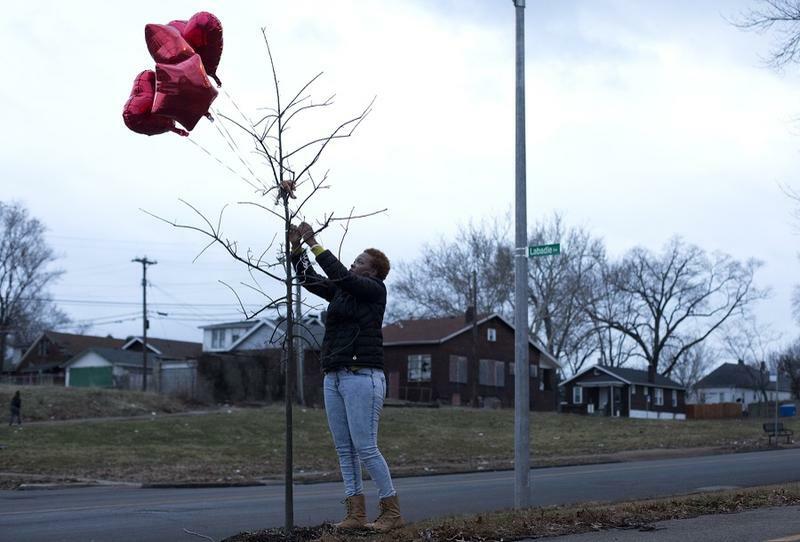 While many media portrayals of St. Louis’ homicide rate come as statistics, with little more than a blurb or sound bite attached to them, reporters Durrie Bouscaren and Rachel Lippmann looked at the issue more deeply. Six months ago, the acquittal of a white police officer charged with the murder of an African-American man sparked widespread protests in St. Louis and put a spotlight on racial disparities in the police department. About 47 percent of city residents are black, but just over 32 percent of city officers are non-white. 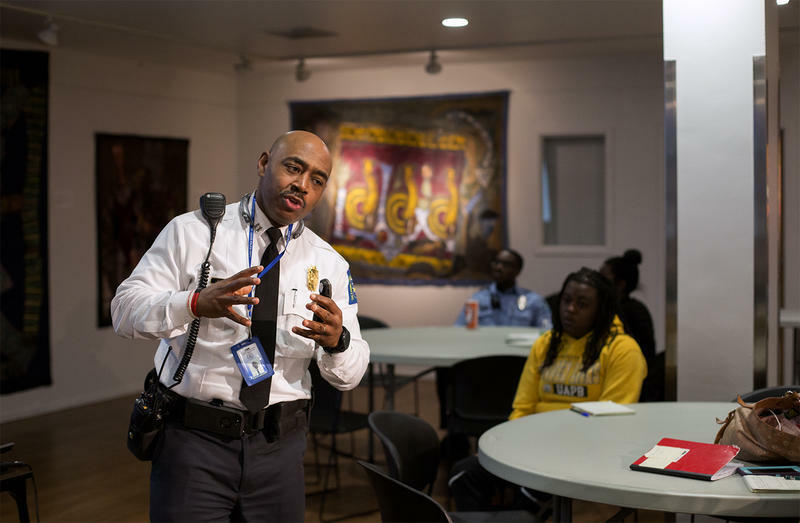 Recently appointed St. Louis Metropolitan Police Chief John Hayden, a 30-year veteran of the department, said it’s obvious they need to do more to increase minority recruitment. He’s now partnering with the Ethical Society of Police, a mostly African-American police association, to support their pre-academy recruitment program.